It might seem a daunting task to find out the biggest wedding dress trend of 2017 (there were a lot of frocks to trawl through) but in the end it was actually really easy. That's because there has been one solid winner. I realised this when I was recently chatting to Bo & Luca founder and creative director Shannon Pittmann. When I asked the wedding dress designer what brides are wearing right now, she said one word: Sleeves. While this brand is Australian, the UK market is big for them. Shannon revealed why brides are now turning to demure or modest silhouettes. "Women have become much more fashion conscious when it comes to wedding dresses. They [look] way more modern and sleeves have become a big factor this year, and will continue into 2018." But I haven't just taken one designer's word for it. Earlier this year, after attending the Galia Lahav couture show, I spoke to designer Sharon Sever who told me that "Everybody wants sleeves and dramatic silhouettes," at the moment, citing that extra coverage is being requested by brides. Adding more fuel to my theory, Spanish bridal designer Inmaculada Garcia told Hitched.co.uk that "2017 collections [took] a turn for the demure, with full coverage wedding gowns that read feminine and elegant all in one". There is more evidence, however, that proves this past year was all about wedding dresses with sleeves. From the catwalk to the high street, bridalwear was all about being modest. 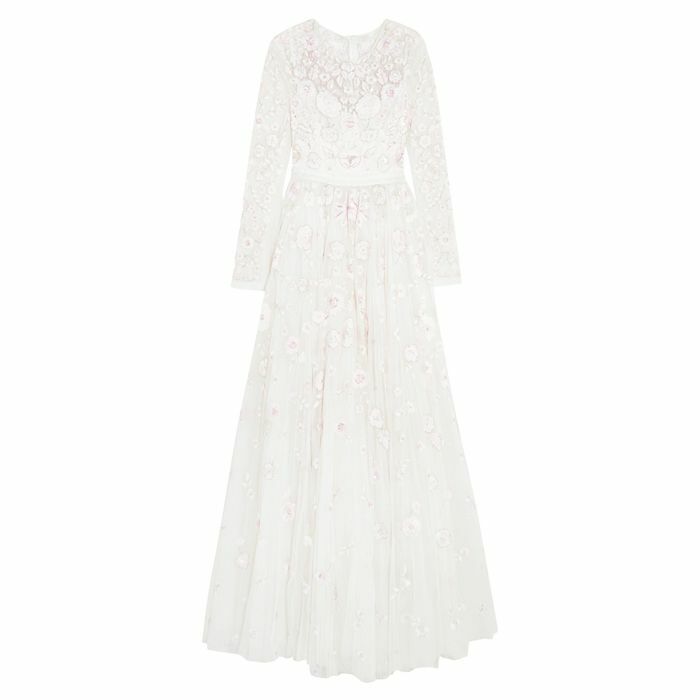 Keep scrolling to see just what I mean, and if you're a bride who loves sleeves, then shop some of our favourite gowns below. Back in 2016, the world's biggest designers for bridal wear including the likes of Elie Saab and Vera Wang showcased their 2017 creations. As you can see, long sleeves came in ever type of iteration–from embellished to sheer as well as lace. This year, two fashion favourites got married in long sleeved dresses. Designer Harley Viera Newton wore a long and lacey Valentino creation for her nuptials. Whereas DJ Cassie Coane wore a long dress with sheer sleeves (she also had the chicest bridesmaids we've ever seen). If you're after a long-sleeved gown for the coming year, head to Bo and Luca for a boho take on the look. The cutouts on this gown are stunningly beautiful. For a chic, non-traditional look, try a white jumpsuit instead of a gown. You can't go wrong with minimalistic embellishments. French Connection is set to launch its bridalwear collection in the new year. Unsurprisingly, one of our favourite looks is this long-sleeved piece. This option is budget-friendly and classic. 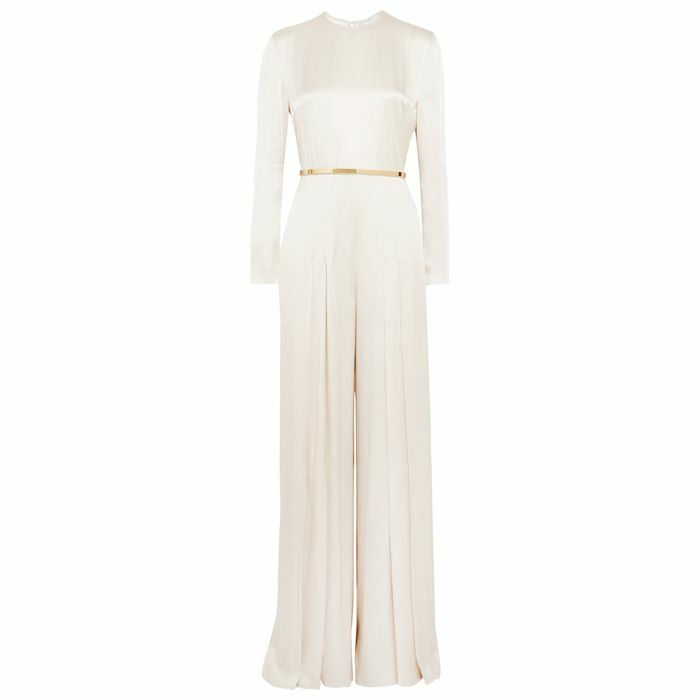 For a modern take on a wedding dress, go for a midi length. This dress is simple yet perfect to get married in. Want more? 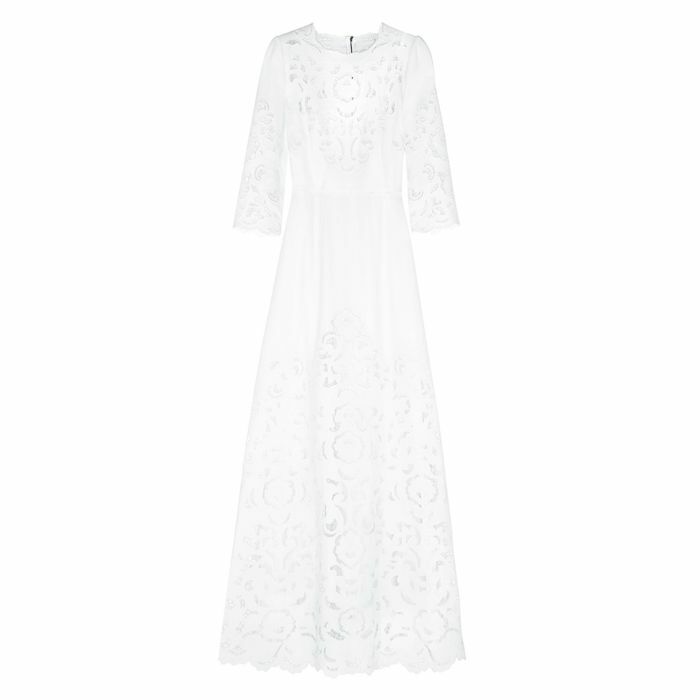 Shop our favourite high-street wedding dresses for brides on a budget.